A tragic accident has taken Dr. Kurt Birkle, former director of Calar Alto Observatory, away from us. We are very sad and specially those GUAIX members which carried out the UCM Survey whose observations were taken with the Calar Alto Schmidt telescope. We remember his careful and detailed explanations for baking the photographic plates, for loading the chassis, for focussing the telescope, for the guiding and for the plate processing. He was a necessary contributor to the success of the UCM Survey. 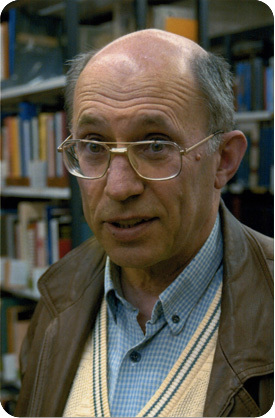 Kurt Birkle came as a PhD student to the Landessternwarte Heidelberg in 1969 and later switched to the newly founded Max-Planck-Institut für Astronomie. He played a decisive role in the search for the best-suited site for the observatory planned for the Mediterranean region. After the decision for Calar Alto was taken, he leaded, together with Spanish colleagues, the installation of the German-Spanish Astronomical Centre (CAHA) with its four large telescopes. Its official inauguration in 1979 marked the formation of the national observatory, which the German astronomical community had yearned for since half a century before. As the local director for the German part of the CAHA, Kurt Birkle supported until 1998 countless guest observers from Heidelberg and from institutes in Germany and Spain, and expanded and cultivated good relationship to the Spanish scientific community and local authorities. His own scientific interest had focused on comets and active galaxies. His sky images with the Schmidt telescope attracted wide attention.